Mar. 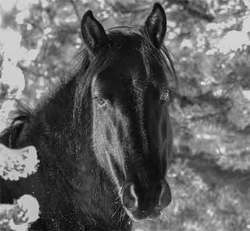 5, 2014 11:00 a.m.
“Despite what has been reported in some media stories and on the ESRD website, The Alberta SPCA is not a member of The Feral Horse Advisory Committee. The Alberta SPCA had no role in the committee’s recommendation for a 2013/14 horse capture program. The horse capture program is operated under the Horse Capture Regulation, which is attached to The Stray Animals Act. Alberta SPCA peace officers do not have appointments under The Stray Animals Act, which means that they do not have the authority to monitor the horse capture program. Once a licence holder takes possession of a horse, however, the licence holder then becomes that animal’s caretaker. The licence holder is then required to meet animal care responsibilities set out in the Animal Protection Act. The Alberta SPCA will investigate any calls it receives from people with firsthand knowledge of the mistreatment or improper care of any animals in Alberta. Anyone who has witnessed animal abuse or neglect should call The Alberta SPCA at 1-800-455-9003,” Roland Lines Communications Manager. The Stray Animals Act falls under the Ministry of Agriculture and Rural Development, and is intended for livestock issues. The Stray Animals Act and Regulation is administered by Livestock Identification Services, a delegated authority under The Stray Animals Act Delegation Regulations. The Horse Capture Regulation is administered by Sustainable Resources and Development. Much confusion surrounds the subject of EIA testing in the captured horses and who is to enforce it. Dr. Darrell Dalton of The Alberta Veterinary Medical Association said, “EIA testing was suggested by us if there was a capture season as a surveillance for the disease among the feral population and as a safeguard for domestic horses that would be brought into contact with the captured horses that are rehomed. Our other concern was that they are captured in the most humane way possible using corrals and food as bait.” If the public has any further questions they would like answered The Alberta Veterinary Medical Association has a Facebook page where they are happy to address any concerns. The ESRD would have to enforce the EIA testing with capture permit holders for the suggestion to be carried out. Another point of confusion has been the misconception that capture permit holders have to keep any captured horse for six months. The six month rule relates back to the CFIA (Canadian Food Inspection Agency) and animals that are used for human consumption. This does not apply to horses that are rehomed. With the number of people and even horse sanctuaries eager to give any wild horse a home that a capture permit holder may not wish to keep, it would seem that the six month rule would be of no consequence in this situation given the fact it’s difficult to imagine that any of these horses would go for slaughter. Obviously if the information released about the horse capture had been clear about if the suggested testing for EIA was being implemented, who was supervising the capture and the rules the capture permit holders were bound by most of the confusion surrounding the ongoing capture season could have been avoided. The current capture season will be over at the end of the month. It will be of great interest to the people watching it to find out how many horses were captured and how many horses are counted in the wild when the ESRD does the wild horse count next month.